For two years, England has been in the grip of Civil War. In Banbury, Oxfordshire, the Cavaliers hold the castle, the Roundheads want it back and the town is full of zealous Puritans. Consequently, the gulf between Captain Justin Ambrose and Abigail Radford, the sister of a fanatically religious shopkeeper, ought to be unbridgeable. The key to both the fate of the castle and that of Justin and Abigail lies in defiance...but will it be enough? 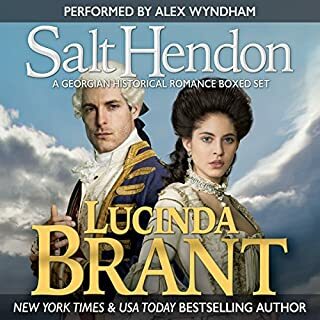 Lucinda Brant and Alex Wyndham - a dream team! Sebastian Audley has spent years setting every city in Europe by the ears and keeping the scandal-sheets in profit. Word that he is finally returning to London becomes the hottest topic of the Season and casts numerous young ladies - many of whom have never seen him - into a fever of anticipation. Cassandra Delahaye is not one of them. In her opinion, love affairs and duels, coupled with a reputation for never refusing even the most death-defying wager, suggest that Mr. Audley is short of a brain cell or two. And while their first, very unorthodox meeting shows that perhaps he isn't entirely stupid, it creates other reservations entirely. Sebastian finds dodging admiring females and living down his reputation for reckless dare-devilry a full-time occupation. He had known that putting the past behind him in a society with an insatiable appetite for scandal and gossip would not be easy. But what he had not expected was to become the target of a former lover's dangerous obsession...or to find himself falling victim to a pair of storm-cloud eyes. 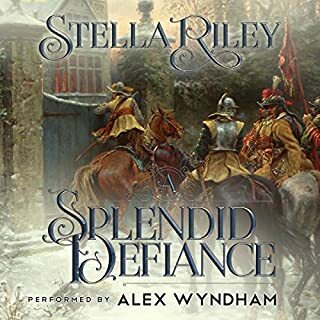 I always wait with eager anticipation when I know that there is another Stella Riley book due to be released in audio and am never disappointed. 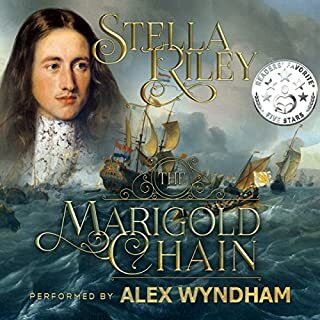 Ms. Riley's chosen narrator, Alex Wyndham, has a unique talent whereby he transforms anything this author writes from wonderful to extraordinary. Actor and author are completely in tune and The Wicked Cousin is a worthy addition to the author’s fabulous Rockliffe series. 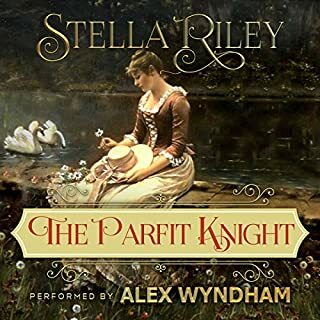 great entertainment, brilliant narrator , always enjoy Stella Riley and especially Alex Wyndham. can't stand some of the squeaky voiced narrators, usually females. If you've listened to audiobooks by this terrific author/narrator team before, you'll know you're in for another treat. If you haven't - you're really missing out! In this fourth book in the Rockliffe series, we meet Sebastian Audley, who has spent most of the last six or seven years living it up royally on the Continent and earning himself one hell of a reputation. There's no wager too risky, no lady too unattainable and no bottle too undrinkable for Sebastian, and tales of his exploits as he cut a dash through Europe have spread far and wide. The women want him, and the men want to be him - in short he has the devil's own reputation. The problem is - what happens when, in his late twenties, he decides it's time to grow up and settle down? A reputation such as his is going to take a hell of a lot of living down, but he has to try. Miss Cassandra Delahaye is fed up with hearing her younger sister and her friends swooning over the exploits of &quot;Wicked Cousin Sebastian&quot; and thinks he must be an absolutely insufferable man. Their first, accidental, meeting, would seem to confirm this opinion of Cassie's but as the pair of them begin to see more of each other, she discovers instead that Sebastian is warm, witty and kind - and she is well and truly smitten. 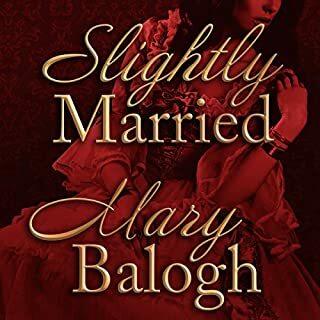 What follows is a traditional courtship story, something which is perhaps a little unusual in historical romance these days, when there are so many spies and pirates dashing through the pages of the genre. With a reputation like his, Sebastian knows he has to do everything by the book if he is to persuade Cassie's father to entrust him with her hand and her heart. There's much to enjoy here besides the sweetly sensual romance between Sebastian and Cassie. We are re-introduced to the Rockliffe set - including the man himself as a new father - and are reminded once again of this author's gift for writing male friendships and snappy dialogue. It's also terribly refreshing to encounter a family like Cassie's well-adjusted, and loving, and to see the seeds of reconciliation begin to take root between Sebastian and his father. Alex Wyndham delivers another nigh-on perfect performance that's so good it's hard to find something to say about him that I haven't said before. Technically, he's spot on, and I'm amazed at the way he is able to give voice to so many different characters - both male and female - without there ever being any confusion as to who is speaking at any one time. His interpretation of Sebastian is wonderful, light and airy, but with a hint of steel beneath, and I loved his characterisation of Grandpa Maitland, who appears early on in this and whose meeting with his new grandson-in-law - Adrian, from The Player - is a hoot. In short, The Wicked Cousin is a superb listen and not to be missed. 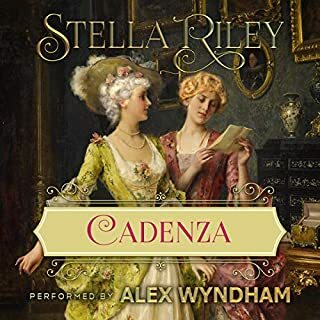 From the moment Alex Wyndham starts reading one of the best and most moving Prologues I have heard for a long time, Stella Riley’s words transport you into her world of pure magic. She has to be one of the best Georgian storytellers currently writing. The hero in this, the fourth book of the superb Rockliffe series, is Sebastian Audley – who is just eight years old when his twin brother dies and Sebastian’s life takes a dramatic turn. For what follows is that Sebastian has little control of his life and this continues until he graduates from Cambridge with a first class degree, freedom and a plan. And boy how he enjoys his plan! However, after a thoroughly good romp throughout Europe where he has lived life to the full, performing dare devil escapades, enjoying many liaisons and learning to excel at chess – something that becomes so relevant and touching at the end of the book - fate plays a hand and Sebastian finally returns home realising he would like a less hectic life. Once back, he enters London society – but the young bucks challenge him with absurd wagers and all wait with eager anticipation to see what Sebastian will do next. Needless to say it’s not what one expects … after all, this is a Stella Riley story. I’ll say no more as this would spoil the entertainment but Ms Riley once again writes a terrific story with several twists. What I will say is that the Riley/Wyndham team is a force to be reckoned with. Ms Riley’s writing is concise and articulate, avoiding irrelevances to concentrates on her characters. Her strength in creating dialogue between her characters result in people who actually live off the page and, when linked with Alex Wyndham’s amazing ability to perform male and female voices that are so distinct from each other the result is a perfect combination. Thank you once again Stella Riley and Alex Wyndham. This audio is ‘An absolute treat’ and one that should not be missed. Rockliffe #4 The Wicked Cousin starts with a Prologue that affected me deeply. I felt the sadness and terror that Sebastian Audley felt as his twin brother was taken from him by an illness. Sebastian literally lost the other half of himself. What shaped the rest of his youth was not only the loss of his twin brother but the complete elimination of his childhood. He was now the only male heir and he was not to go away to school, play with other children, not risk his safety in any way. When he finally reached the age to defy his father he left England and traveled the world. He indulged in all the vices that all young men did, woman, drink, duels, gambling and accepting outrageous wagers. Now he is returning to England and the rumors start to fly. All the young ladies are all agog wanting to meet him and find out for themselves if he is as dangerous and beautiful as the scandal sheets have made him out to be. His friends think it is hysterically funny and tease him. If one more young lady waxes poetic about his red hair he is going to be sick. Cassandra Delahaye is a practical young lady who loves her family and has great friends that make her happy. She is not a great beauty, in fact, she considers herself quite plain. She is intelligent, witty and enjoys her life just the way it is. 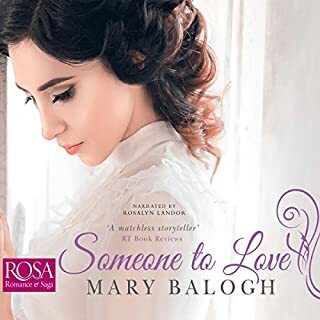 She is not interested in a grand passion, emotional angst, and doesn't want anything to do with scandalous Gentleman like Sebastian Audley, that is until she actually meets him. A chance meeting in a darkened room at a ball begins the journey of a friendship and a romance that will have you enthralled till the last chapter. Sebastian knew that his reputation would make it difficult to return to London Society, but even he could not predict that the young debutantes would actually chase him from room to room at a ball. Looking for a place to hide he finds an empty room that will suit him just fine, Brandy and no marriage minded ladies. Then his worst nightmare walks in the door. Miranda was his mistress while he was in Lisbon. A married woman with a mostly absent husband is usually Sebastian's cup of tea, but Miranda got too clingy and he broke it off and moved on to another country. 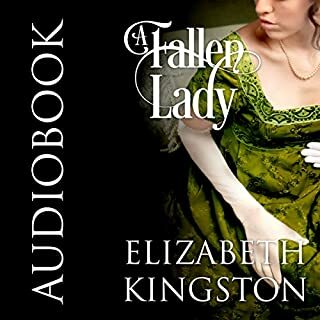 Now her husband is dead and she has returned to England to marry Sebastian, and she has no plans to take no for an answer. Sebastian and Cassandra are made for each other. They are both kind, honorable and want the same things out of life, which surprises both of them. Cassandra never thought she would love someone as much as she loves Sebastian. He never thought to find love and Cassandra is his soulmate. The only thing that will destroy their love is a truly demented female that will do anything she can to make Sebastian hers. Stella has the best female villains. Miranda is unstable and doesn't care who gets hurt as long as she gets her way. Can Sebastian and Cassandra survive whatever lay ahead in their journey? Stella writes a tale with heart-breaking moments of sadness and euphoric moments of pure joy mixed in with mind-blowing peril and acts of unfaltering bravery. You also get to catch up with all your favorite characters from the first three books in the series. They say that rakes make the best husbands and in this series that is definitely true. I cried at the beginning of this book because of sadness and cried again in the last chapter from happiness. Stella is truly an amazing author and I loved this book. Now about Alex Wyndham's performance. He brought all the characters to life like only he can. Whether it is a female, child or anyone of the amazing characters in this book only Alex will do for Stella's audiobooks. I cannot tell how much I have come to enjoy Stella's audiobooks because of his lovely voice. Now on to the next one in the Series "Hazard". 4.5/5 Unlikely Dare Devil Match Stars! 4.5 "Unlikely Dare Devil Match" Stars for the story and 5 Stars for the narration! 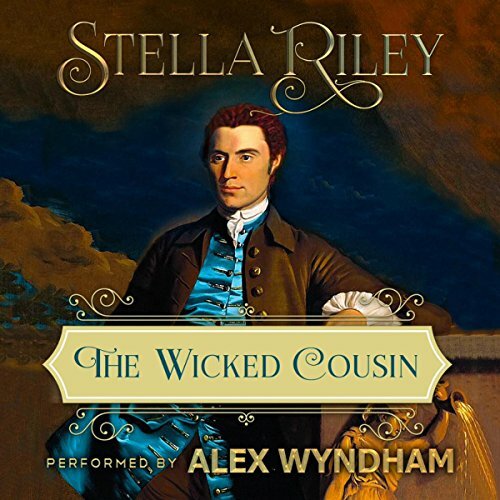 The Wicked Cousin is another win for Stella Riley! 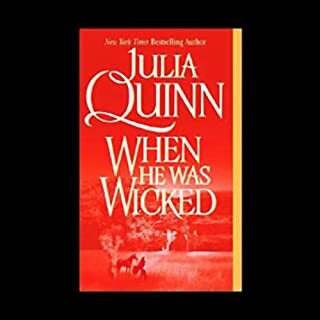 Having thoroughly enjoyed the prior books in this series, I jumped at the chance to listen to The Wicked Cousin and was once again impressed with Ms. Riley's talent for writing characters that her readers/listeners are certain to fall in love with. Additionally, Alex Wyndham's narration is superb as always making this a title best enjoyed in audio format. 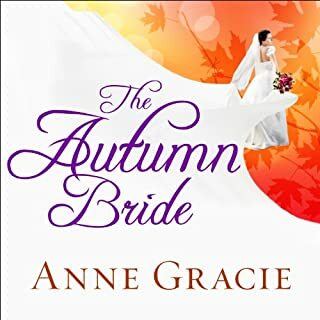 Although this is the fourth book in the Rockliffe Series, the romance works as a stand-alone as the relationship between the main hero and heroine is fully contained in this book. All that said, for those that have read the prior books, you will be happy to know that the prior characters continue to play a role in this book as secondary characters. After being stifled for years, for being the sole surviving son after his twin brother's death, Sebastian Audley has spent his last few years away from the strong grip of his father instead choosing to sow his wild oats even if it is on his own dime. When he finally decides to return to London, he of course becomes the gossip of the season. Notorious for his inability to turn away a dare, he instantly becomes the target of many young ladies who are intrigued by his notoriety. What Sebastian never could have imagined, however, is that he'd also become the target of a former mistress who is determined (in a Fatal Attraction kind of way) to win back his affections. Meanwhile, the one lady who is not interested in the "wicked" Sebastian is Cassandra Delahaye. So imagine her surprise when she finds herself in the same room alone with Sebastian in what could be a compromising position. Fortunately for Cassandra, Sebastian finds a way for their first meeting to remain a secret, even if that way ensures that Cassandra thinks even less of his rule defying ways. Nonetheless the groundwork has been laid, and the unlikely pair begin to form a bond. But could there possibly be a HEA in the cards for two such unlikely characters? Moreover, even if they wish it so, what will it take for the former mistress to step out of the way? Alex Wyndham is in superior form in The Wicked Cousin. 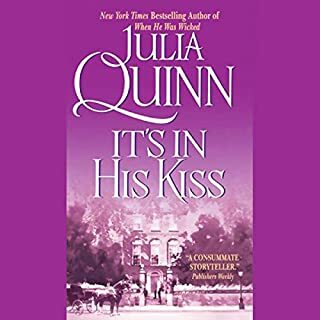 In a short period of time, Mr. Wyndham has managed to climb to the top of my favorite historical romance narrators with his suave voice and attention to detail. Among his strengths are his ability to create character appropriate voices for each and every character. 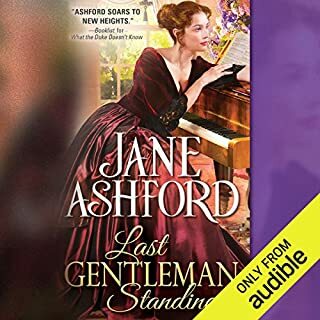 While Mr. Wyndham excels at the male voices, his portrayal of the females is also of a high caliber and allows the listener to just sit back and enjoy the romance. To that effect, I felt that both his voicing of Cassandra and Sebastian was spot on. Moreover, even his portrayal of the large cast of secondary characters allowed for easy differentiation. All in all, The Wicked Cousin is a treat that should not be missed by fans of Stella Riley and, indeed, any historical romance lover. I absolutely loved this book... and also the rest of Stella Riley's Rockcliff series. Great adventure, great romance! Alex gives a wonderful performance. I highly recommend this book! Add Alex Wyndham's narration to The Wicked Cousin and you have a sure 5 star read! The book was original and captivating. The ending bedroom scene was unnecessary in reinforcing the characters' love for each other. In this instance, less would have been better. The narration was "off the chain" great. Alex Wyndham ' vocal talents are par excellent. Thanks Stella Riley. I really like how this series has a circle of friends who reappear in the various books and help each other out. I am tempted to relisten to them all in a row to see what connections I missed. But I have so many more To Be Listened books that I doubt I'll do that. Alex Wyndham is always great. 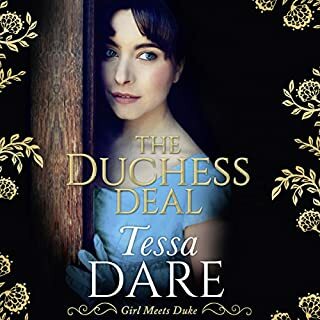 Another great addition to the series, this book features a secondary character from the previous books as a heroine, Cassandra Delahaye, kind, sensible and eminently respectable - and a new character, Sebastian Audley, notorious hero of the scandal sheets as a daredevil and a rake. 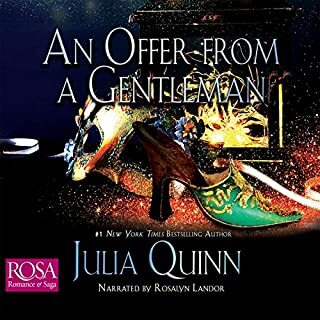 It is a case of opposites attracting each other, but also that Cassie secretly longs for more drama and romance in her life (or maybe, more accurately, the strong and passionate love shared by many of her friends, the characters from previous novels) instead of the dull and boring gentlemen usually paying court to her - and Sebastian wishes to settle down and free himself from the image shaped by his riotous past. The story is complicated by a villainess who for all her cunning proves to be literally mad, and a rake who, although selfish and cunning, turns out to be too much a weakling to do more than provide comic relief.Aside from the romance between very likeable protagonists, the setting of the Georgian aristocracy life, masked balls, dances, gaming clubs and fencing saloons, I found that a great strength of this book is the strong friendships - both male and female. Loyalty, trust, acceptance, instant help in all crazy and dangerous situations is always ready at hand from the strong network of admirable characters, as in all the books in this series. In addition, I enjoyed Cassie's family in particular. After all the mistakes and abuses from family members described in the other books and even in this one, in the case of Sebastian, the Delahayes prove to be loving, sensible and kind - a safe haven for Cassie and Sir Charles a substitute father figure for Sebastian until his own father could make the attempt to right his past wrongs and mistakes. 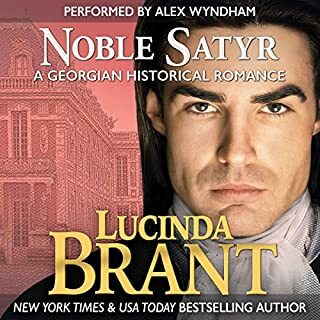 A further good point was Sebastian's willingness to forgive his father for his childhood sufferings.I can only recommend this book to any historical romance fans. 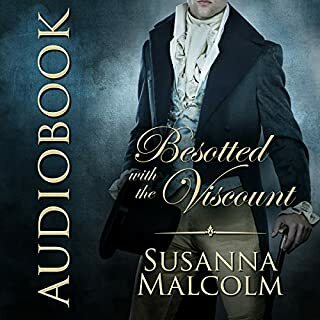 It's easy to fall in love with these dashing gentlemen and their strong and sensible ladies, the author's excellent style, dialogue, vivid descriptions, and the excellent audio rendition of the talented narrator Alex Wyndham. &quot;The Wicked Cousin&quot; as the book begins is worth an Audible credit. Seriously, though, this is a wonderful story, with intriguing characters, luscious romance, and a bit of adventure. Alex Wyndham's performance is, once again, superb. Stella Riley continues to entertain with humor, providing the reader with a window seat into the antics of men and women who eventually come to terms with what society demands of them. I enjoy the subtle fun-making author Riley weaves into the plot. 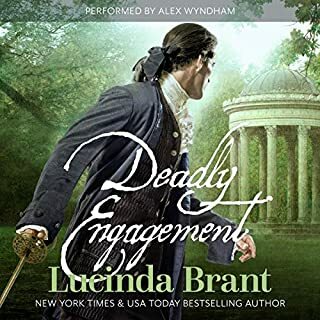 Narrator, Alex Wyndham’s marvelous job in nailing down the perfect voice for each character, pulls the story together, delighting any connoisseur who wants to read/llisten to a ‘damn good story’! We get to reacquaint ourselves with memorable and sometimes tedious individuals from the previous reads in the sequel, along with characters of good taste and breeding, already holding a place in my heart. Lady Sarre, the wife of Adrian, first meets Sebastian Audley. Her grandfather, Mr. Maitland, arrives from Halifax, on his heels. Then Adrian, looking much like a farm laborer, Earl of Sarre, meets Hubert Maitland. It’s a wonderful scene, showing us what stock Caroline and Adrian are from. Cassandra Delahaye has been attracted to Sebastian in the past, but since, word of his past roguish ways has put her off. Cassie is at the marriageable age, a sweet, biddable young woman any mama would like as a daughter-in-law. But Cassie doesn’t like what she sees in the mirror. She’s not happy with herself. She wants to work outside the box. Richard Benhalligan, someone who pays attention to Cassie, is a man who blows hot and cold. Is he, or is he not interested in Cassie? Are his intentions honorable? And what about Sebastian Audley? Is he interested in her or just playing with her, true to his reputation? Charles, Cassie’s father, is a father who really cares for his daughter. It’s very touching. Her French maid, plays a role in giving Cassie more self-esteem. Sebastian and Adrian, being old friends of youth, and having been years apart, have a wager, privately recorded at Sinclair’s gaming house, which gives Sebastian some protection against himself. He has problems NOT accepting any wager, and with this one, if he takes any other wager that jeopardizes this private wager, he won’t do it. Adrian makes a very astute wager! If you enjoy laughing at how society amuses itself, how men and women deal with the demands of society and their own esteem, you’ll enjoy engaging this read. I am never disappointed with one of Riley’s books. The Rockliffe Sage continues to delight with Stella Riley's riveting dialogue rendered delightfully by Alex Wyndham.